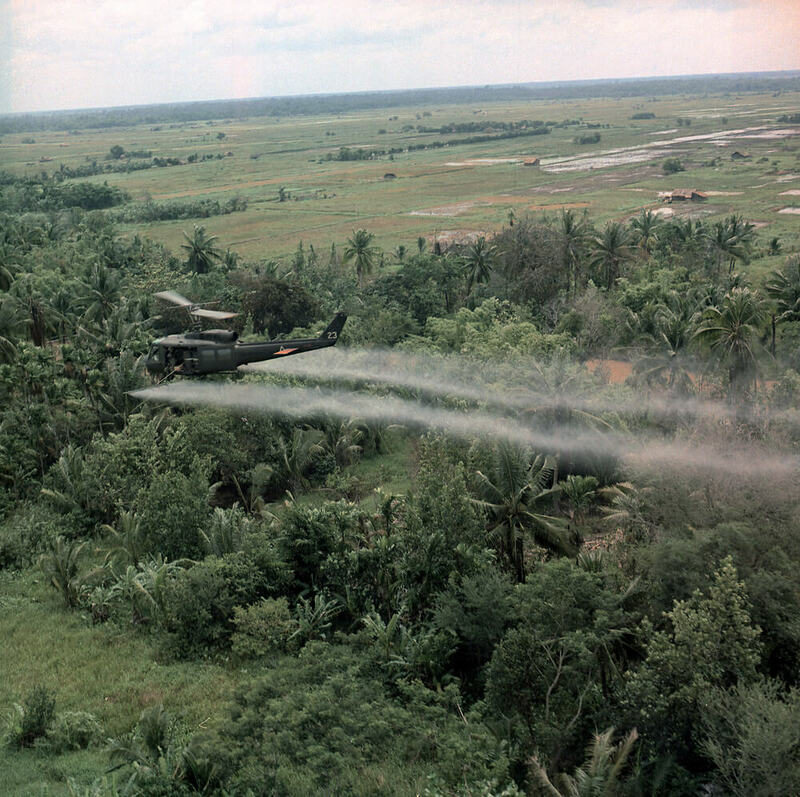 Vietnam War Defoliation Mission a UH- 1D helicopter from the 336th Aviation Company sprays a agent orange on a dense jungle area in the Mekong delta. By Everett Historical at Shutterstock. Virginia Watts is Pushcart-nominated author of poetry and stories found in Palooka Magazine, Burningwood, Temenos, Green Briar Review, Ginosko, The Moon City Review, The Florida Review and others. She received honorable mention in Passager’s 2018 Poetry Contest. Virginia currently resides near Philadelphia, PA.
Read more articles by Virginia Watts. All original work attributed to Virginia Watts © 2019 Virginia Watts.